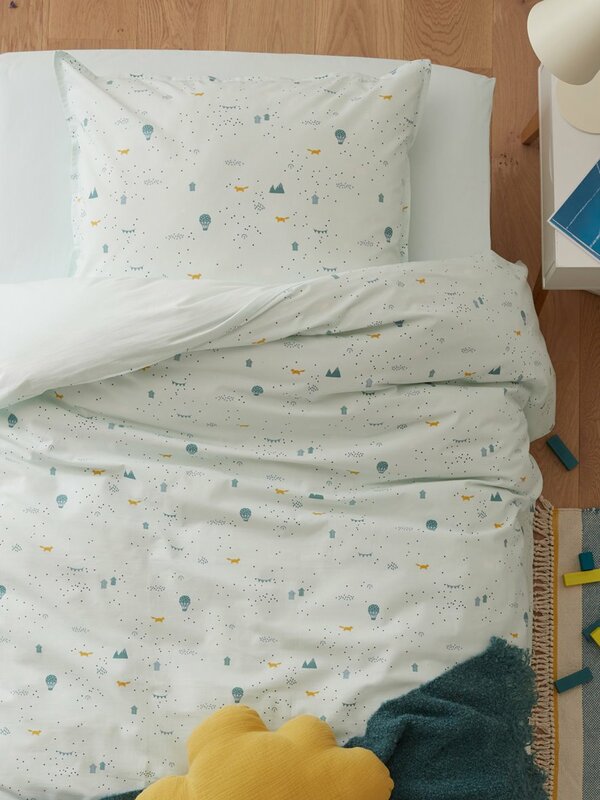 It's incredible how this bed set inspires calm and tenderness. Count to 3 and they're off to dreamland. 1, 2, 3! Cyrillus Creation. Solid colour back. Pillowcase with 20cm flap and 2cm flat frill. Machine washable at 40°C. Made in Portugal.